The little snail carries its “house” around, the tortoise its “armor plating” and the ladybug its wings. 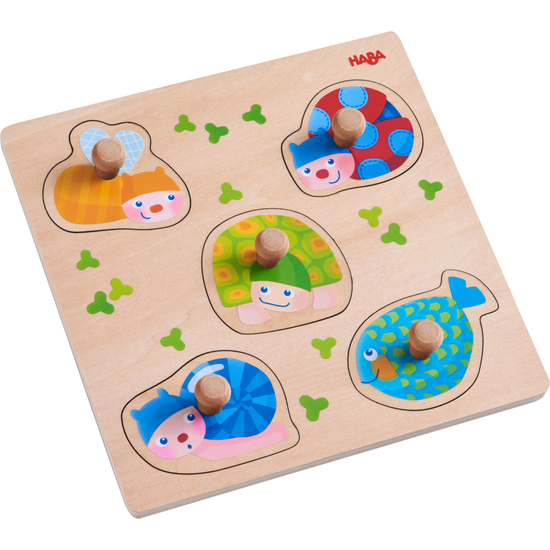 With this clutching puzzle, children sort the colorful animals into the correct arrangement. The puzzle pieces are easy for small children to manipulate. They will enjoy piecing the puzzle together on their own or with others.